Published: May 4, 2015 at 12:18 p.m. 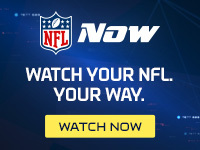 Updated: May 4, 2015 at 03:16 p.m.
With the NFL Draft in the rearview mirror, teams will now turn their attention to extension for veteran players, especially those entering the final year of their contracts. One of the biggest names to keep an eye on as we progress towards the season is Atlanta Falcons receiver Julio Jones, whose contract general manager Thomas Dimitroff said will now become the team's priority. "There is no question that our focus in the future will be on Julio Jones and where we are," Dimitroff told ESPN.com. "I don't want to get into specifics about the timing of that, obviously. But now that the draft is over and we continue to build this football team, we understand that Julio is a very important part of our building and evolving as a championship-type team." Jones is one of the NFL's most explosive wideouts and is the linchpin to the entire offensive operation in Atlanta. When Jones has missed time the past two seasons due to injury -- 12 games missed the past two years -- his absence severely hindered Matt Ryan's ability to stretch the field. No contract talks have been held yet, but it's clear that Jones will want to be among the highest paid players at his position. Calvin Johnson sits at the top of the chart, averaging just over $16 million per season. The Falcons picked up Jones' fifth year option for 2015 and would clearly utilize the franchise tag in 2016 -- around $13 million -- if a long-term deal can't be hammered out in the interim. Dimitroff said Jones' injury history wasn't an issue in regards to a new contract. "That's not my concern right now," Dimitroff said. "That's not my concern, period." His concern is ensuring that his most dynamic playmaker is happy and locked down for the foreseeable future.